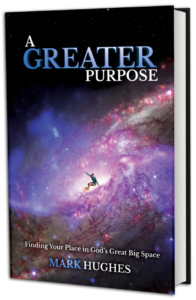 To order A Greater Purpose: Finding Your Place in God’s Great Big Space by Pastor Mark Hughes, please call our office toll-free at 1-877-700-ROCK (7625). Looking for Sermons? Subscribe to our video or audio podcasts or watch online anytime from our library of online videos for FREE.